Earlier this year the donations module was quietly release into the portal. This module allows you to do four things easier than ever before. 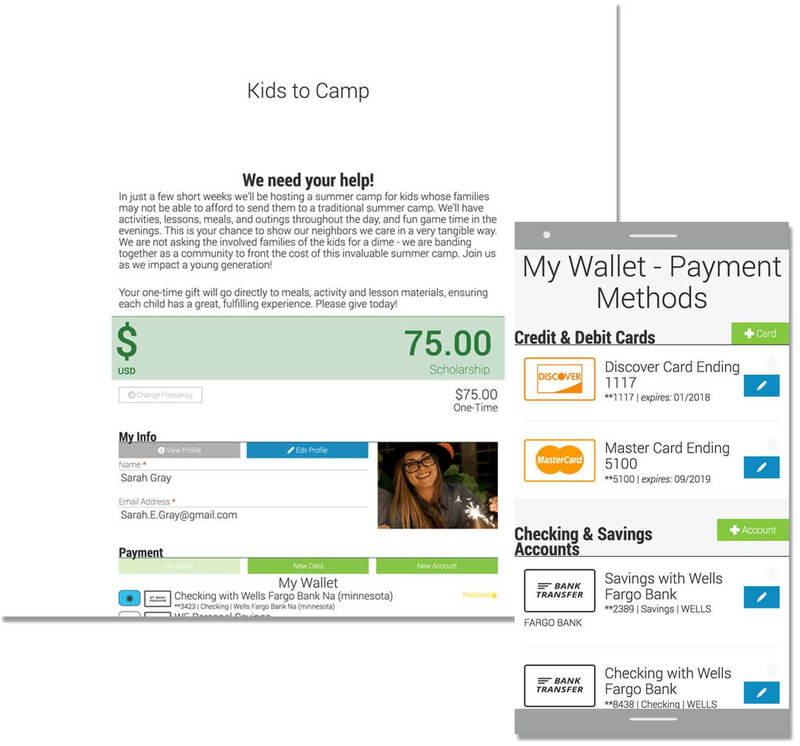 Designed to give you an easy way to segment and track your donations. Simply set your date range along with the applicable funds and your campaign is ready. You can choose to make these campaigns public or private. Public campaigns appear in the Portal for people to review. 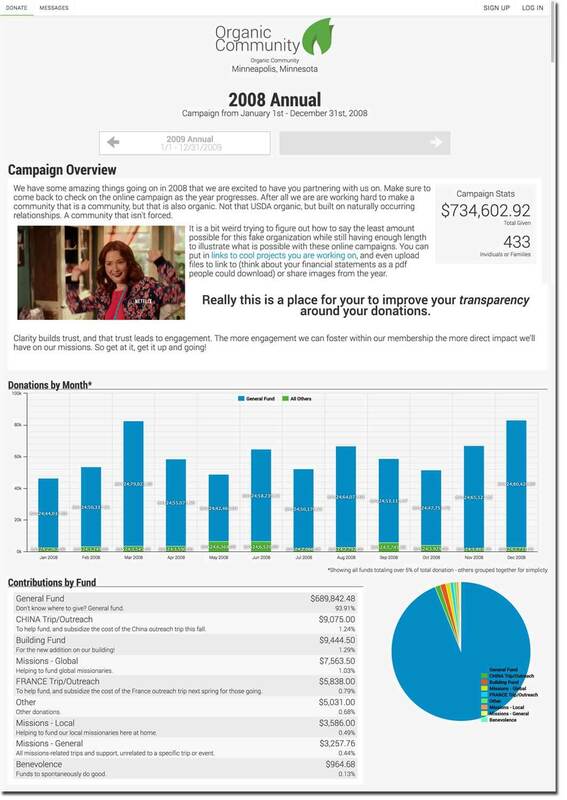 You can even show donations in real time over the duration of the campaign. Transparency was a major design goal for the campaigns. Organizations that provide greater transparency into their finances have more confident donors. Every Fresh Vine Giving Campaign allows you to include a message and information. You can link to reports, include images (photos, graphs, etc), embed videos, and more. You can update this information over time as well as keep your donors informed. After the campaign has ended you can publish donation statements directly from Fresh Vine. Each public campaign is stored in the portal for anyone to browse and review in the future, or keep campaigns hidden so only members of your community can see them. View an example campaign from 2008. When your organization sets up online giving, accepting donations becomes faster and easier. Having intuitive giving tools built into your membership software adds even more to an already powerful tool kit. Fresh Vine allows you to create any number of online Giving Pages. You can tailor each page and customize it to target specific goals or to tell specific stories. One of these Giving Pages becomes your default online giving page. It gets a simple URL – https://your-nonprofit.freshvine.co/give/ (example) – and is highly configurable. Learn more about these Giving Pages. Each donor has their own wallet including their active credit cards and bank accounts. This makes giving as simple as setting an amount, a frequency, and picking how they want to give. They can also manage their recurring gifts. Even better, you can also use all the services and tools provided by your payment provider. Any changes made there will show up in Fresh Vine. Providing your donors with contribution statements can be a daunting task. Even if you do it perfectly some will get lost in the mail or never opened. With Fresh Vine these headaches are a thing of the past. Each of your campaigns allows you to publish statements. The same funds and time frame from the campaign define what contributions are included. You can also include a personalized note at the top of the statement. This can be a good way to say thanks, and remind them what good things their support enabled. With a click of a button you can publish the statement. Fresh Vine will then keep track of who has and as not yet seen their statements online. 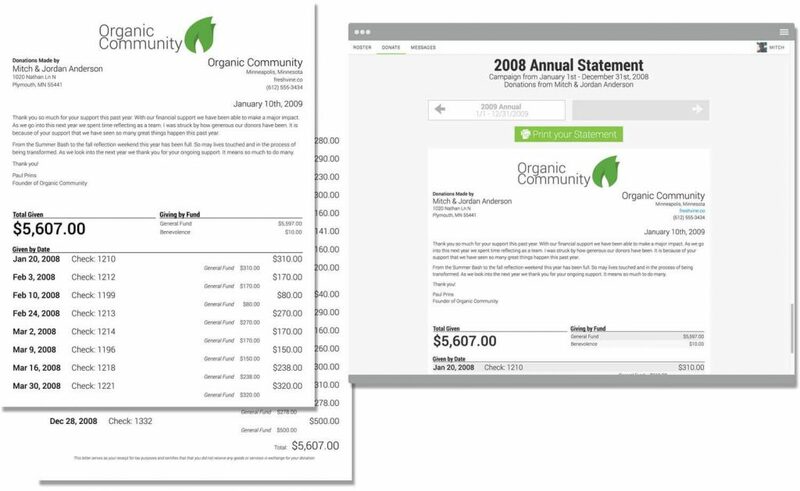 At anytime you can download a spreadsheet to print & mail paper statements. This download can include everyone or only those who have not seen their statements yet. Additionally from each profile you can download only a single persons statement to print – for when they get lost in the mail. Every gift registered in the Fresh Vine giving module creates a donation receipt. These are accessible anytime they log into the portal. It is a simple way to affirm their gift, confirm the details, and give them a receipt of the gift. 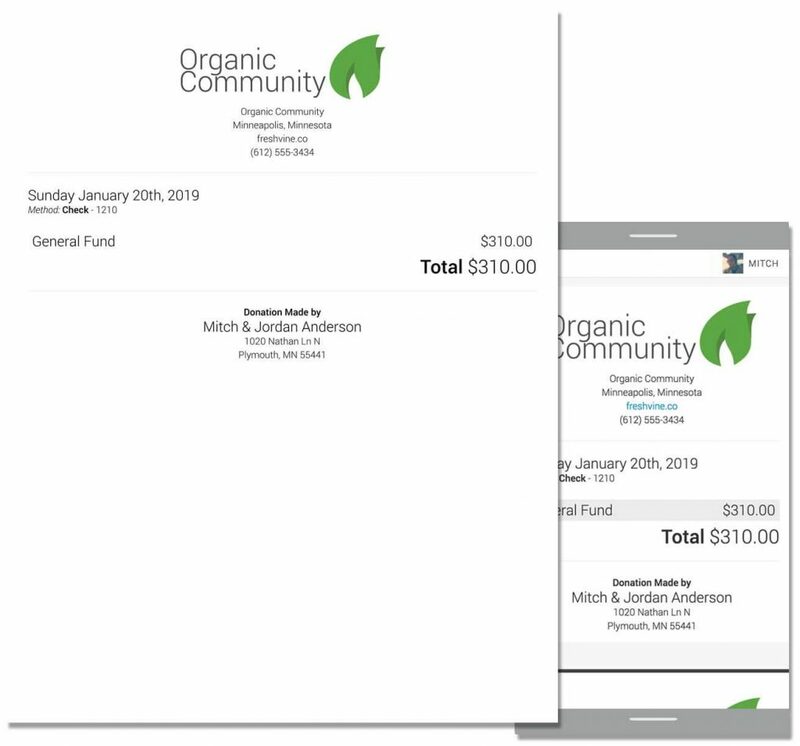 Donor receipts along with the online donation statements makes keeping donors informed easy. A donation receipt exists for every date & method of giving per donor. There are more great innovations coming to make running your nonprofit easier than ever.